Now here's one that prompts so much high octane speculation that, again, I don't know where to begin. 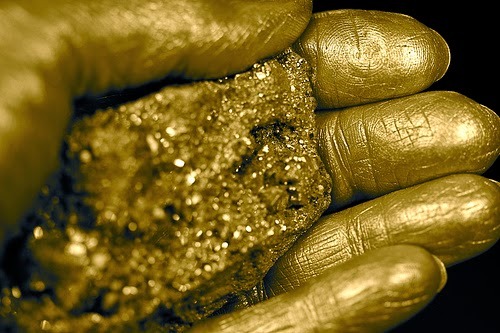 "The transmutation from lead to gold has been mankind’s dream for millennia. 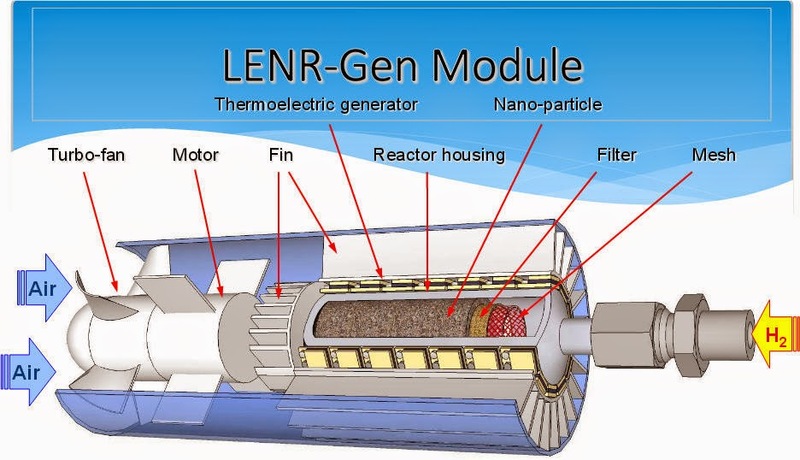 Lattice Energy LLC, a company from Chicago, IL, claims to have developed a process for energy production, utilizing a low-energy nuclear reactor (LENR) that, as a byproduct of neutron captures on tungsten, will create a mix of precious metals." "Combining the know-how of experts from a variety of disciplines including electro-dynamics, quantum electro-dynamics, nuclear physics and solid state physics, lead to the development of a theoretical foundation which is now ready to be prototyped, and put to the test." "Larsen’s theory that gold, platinum and several other metals can be created by his process is based on findings by Japanese physicist Prof. Hantaro Nagaoka who successfully transmuted tungsten into gold back in 1924. Nagaoka’s results have been verified by several institutions in recent independent experiments but so far there has been no effort to commercialize the process. “Now that the LENR transmutation process is well understood the use of nanotechnology may change all that”, believes Larsen. Now, readers of my book The SS Brotherhood of the Bell will recall that I wrote about Professor Nagaoka's experiments in transumation in that book (as well as referring to it again in The Philosophers' Stone: Alchemy and the Secret Research for Exotic Matter). The German physicist Walther Gerlach also reported on similar experiments that were being done at the time in Weimar Germany in a short article in 1924 in the Frankfurter Allgemeine Zeitung, a process which he clearly and explicitly called alchemy, and which he called for further research. The discoveries were significant, in that quantum mechanics will still in its youth, and nuclear fission had not yet been discovered, so some other process was clearly at work. What is intriguing to contemplate, however, is what happened next, particularly in Germany, where a number of patents were taken out by Siemens and other firms in the 1920s for what can only be described as "alchemical processes." These were, of course, not commercially viable at the time. Or were they? During the same time period, General Erich Ludendorff, an early supporter of Hitler and the Nazis (and the real head of the German military and Kaiserreich in the final half of World War One), a participant in the Beer Hall Putsch of 1923, was also a backer of a number of alchemical schemes to produce gold to the tune of a personal cost to him of 100,000 Reichsmarks, in a little known affair(today, though it was well known at the time and something of an international scandal) known as the Tausend Affair, named after a con artist by the name of Franz Tausend who claimed to be able to produce gold. Tausend was tried and found guilty of fraud in Germany, but the process, and Gerlach's own international prestige as a scientist, would not allow the idea to go away. Indeed, Reichsfuehrer SS, Heinrich Himmler, according to one of his infamous underlings, Oswald Pohl, had the SS conducted secret "alchemy" experiments in hidden laboratories scattered around the Reich, after the Nazi assumption of power, experiments that in my books I have argued were somehow connected to the wider German research coupled with their atom bomb project and as well to the Nazi Bell project.